As you can see from a previous post, my husband and I love Madmen. Its not just the storyline... in fact, its not really the story line at all, it's the attention to detail in the set design, and the fabulous retro furniture that captures our attention. It's got me perusing the Internet looking for some great modern interiors with Danish design furniture, wood panelling, and colours of the 60s. This room is so fresh and light. Love the colour scheme and how the wood adds that essential touch of warmth to the room. 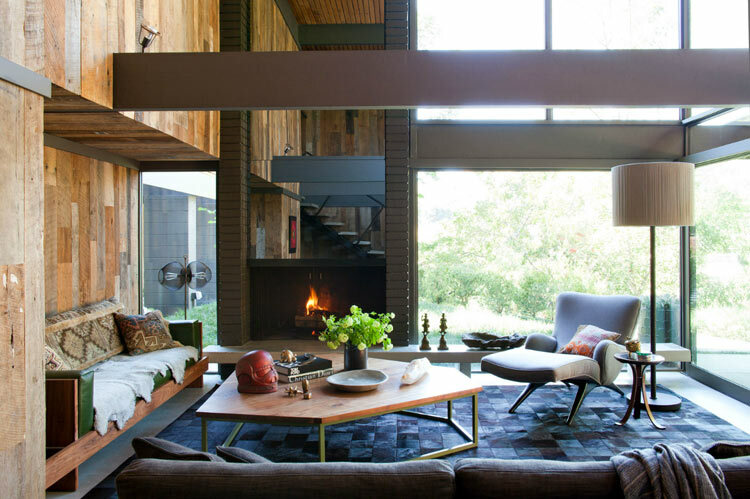 The fireplace makes this room look ultra comfy. 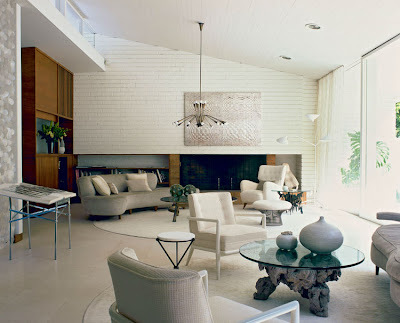 The lounge chair and the wood panelling add that "retro" feel while still looking modern. 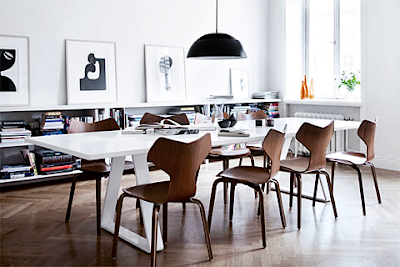 The Hans Wegner Wishbone chairs are perfect at the modern waterfall table. Is that an Ikea daisy pendant lamp that I spy? The black and white with a touch of wood. Perfect. 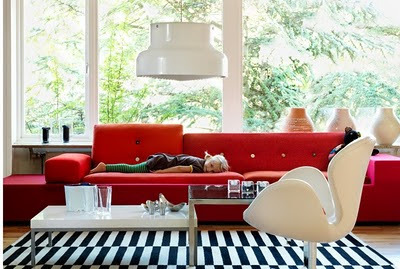 The Swan chair is an iconic piece of Danish design. It sits perfectly with a modern surrounding. Loving this monochromatic colour scheme. 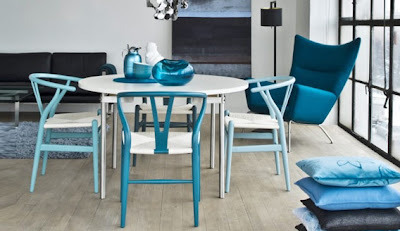 Both the Wishbone and the Wing chairs look fabulous in these blue hues.